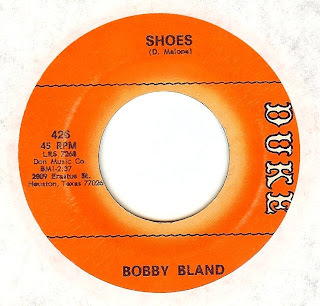 This is a track that just like Richard Berry's other hit (Louie Louie) was made huge by another artist...In this case it was many years later when the Sonics raucous garage version of this tune was used in a commercial. 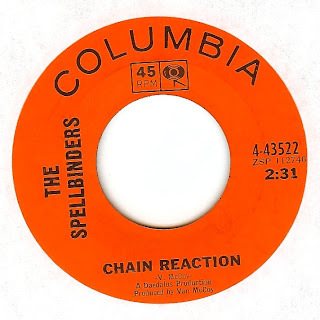 However, I am partial to the original in its laid back, cool style (not to say I don't love the Sonics version, which I do although I enjoyed the Sonics much more when I was in high school cruising around in my '80 Mustang with the windows down blasting garage rock). 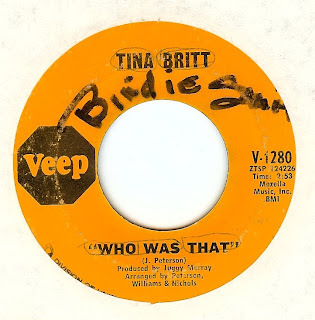 TINA BRITT - WHO WAS THAT? 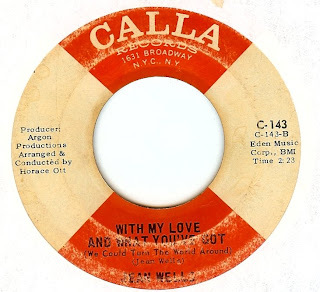 There is very little info to be found on this singer; she was unlike the rest of the other 60's soul divas in that she has a much cooler, laid back delivery that works oh-so-well on this I caught-ya-cheating song. There's been a lot of talk about the brilliance of Chicago's Twinight record label (check the great "Eccentric Soul" volume devoted to the label). 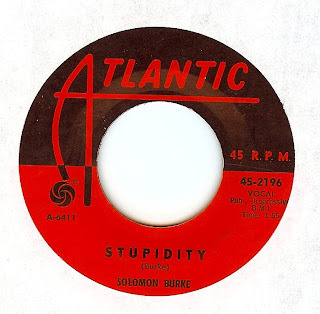 I've featured a handful of Syl Johnson sides on Twinight, but I have just recently started getting some of the other Twinight 45's, of which this is a real favorite lately. 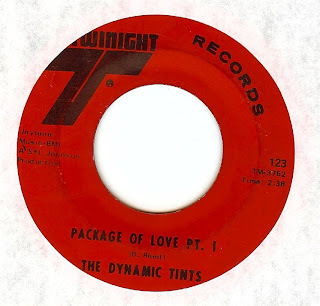 The Dynamic Tints were a vocal group from the Chicago south side that were discovered by Syl Johnson while they were performing live. They were more of a self contained unit than many soul groups, with the group writing most of their own material. 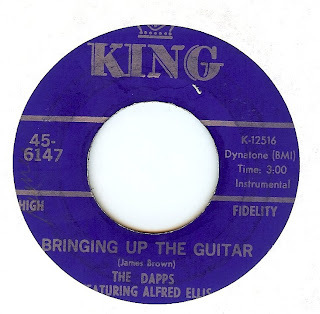 While it's hard to pick favorites, I will say that I am very drawn to soul records made in the era (say, '66-69) where the influence of James Brown's funk bag permeates the classic songwriting of 60's soul. There are so many monster records made during this period, of which this is certainly one. Damn, does this record hit hard! Amazing vocals, drums and guitar propel his record into another dimension. 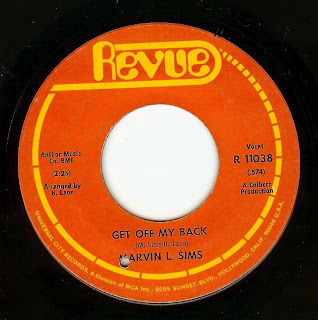 Marvin was part of the Chicago soul scene, but never got over to the hit making side. Man oh man did Solomon release a staggering amount of great records! His ballads are the most well known, but every now and then he cut a cracker like this b-side that just kills it! I've wanted to feature this one for a long time, but the copy I had was just in really horrible sounding condition (this is a notorious hard record to find). However, on my recent Chicago trip I found a near mint copy so its' perfect to feature! What a great record it is! Not only is it a typically great N'awlins jam, but I love the fact that it's so brazenly sexual! You tell him, Irma! It's been WAY too long since I've featured a track from my beloved Sir Doug. I had no idea what he was on about in this song until I googled "Blue Norther" and found this entry in a website that described Texas terms: "BLUE NORTHER. The term blue norther denotes a weather phenomenon common to large areas of the world's temperate zones; a rapidly moving autumnal cold front that causes temperatures to drop quickly and that often brings with it precipitation followed by a period of blue skies and cold weather. What is peculiar to Texas is the term itself. The derivation of blue norther is unclear; at least three folk attributions exist. The term refers, some say, to a norther that sweeps "out of the Panhandle under a blue-black sky" that is, to a cold front named for the appearance of its leading edge. Another account states that the term refers to the appearance of the sky after the front has blown through, as the mid-nineteenth-century variant "blew-tailed norther" illustrates. Yet another derives the term from the fact that one supposedly turns blue from the cold brought by the front. Variants include blue whistler, used by J. Frank Dobie,qv and, in Oklahoma, blue darter and blue blizzard. Though the latter two phrases are found out-of-state, blue norther itself is a pure Texasism. The dramatic effects of the blue norther have been noted and exaggerated since Spanish times in Texas. But that the blue norther is unique to Texas is folklore." And Mr Doug Sahm was a true Texan indeed. We miss you, amigo with your ability to combine rock n roll, r n b, soul, blues, tex mex all into one big outta site psychedelic stew. Oh yeah...Yet another glorious record by the Dells! This is a truly spine chilling record of mega huge heights and mere words alone can't explain its power and majesty. This is music that will last as long as people have ears and heart. Here's a great early production from Gamble & Huff (who made oodles of great records before the disco years; their disco records aren't too shabby either!) 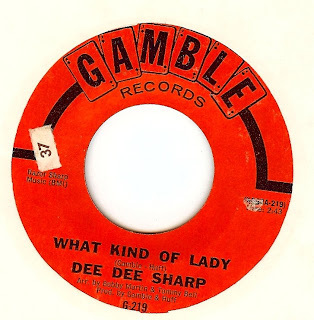 In this track, Dee Dee soars to an amazing height of soul vocals with completely banging backing. Here's another funky monster from these James Brown approved white dudes (they backed him on a few records) who hit it HARD. These cats were based outta Cincinnati, OH. 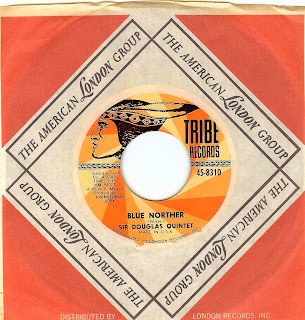 Just got back from my trip to Chicago where the record buying was OFF THE HOOK (I somehow managed to squeeze about 150+ 45's into my suitcase) so what else is there to do other than feature a superb Chicago blues/ new breed track? Here's a real favorite. Chicago blues in the late 60's hit a real peak, taking in the strong influence of soul. Alas, it was all downhill from there! THE CHI-LITES - ARE YOU MY WOMAN? 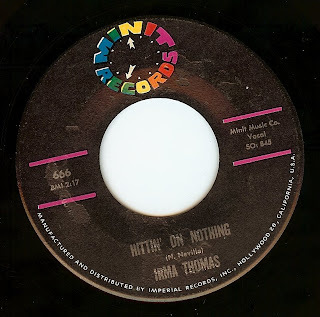 If you've been following this blog for a while, it's no secret that I'm a huge fan of the Chicago soul sound (Gene Chandler, Barbara Acklin, Curtis Mayfield, producer Carl Davis etc). 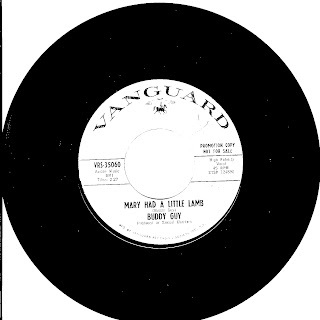 The Chi-Lites were really the last gasp, and their early 70's records are soul classics of the highest order. This jam had its massive horn riff recently sampled by jay Z/ beyonce ("Crazy In Love"); no surprise; that song was propelled into a modern day dance classic because its use of the sample! In honor of John Lennon's 68th birthday, here's a great one that he especially loved; it was one of the 45's found in his portable jukebox. And a great one it is! 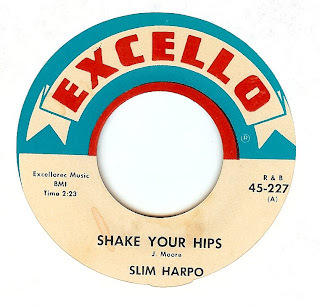 Slim Harpo was one of the coolest cats! 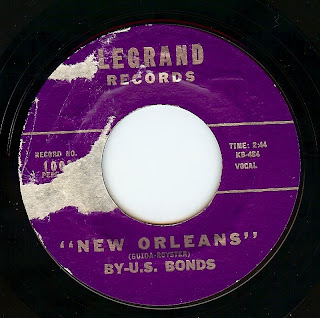 With his understated Louisiana delivery and cookin' backup band, Slim laid down some of the funkiest, jumpinest tracks of the 60s until he dies way too young in 1970. Oh yeah, the Rolling Stones did a pretty great version of this one, too, but Slim's is unbeatable. Featuring an ultra cool stop/ start arrangement, this is yet another fine record by the great Mr Bland. 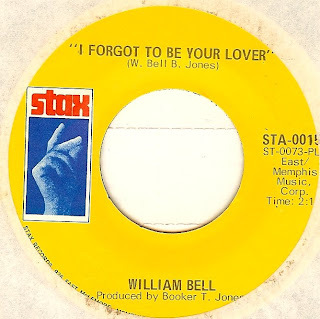 An absolute classic of deep soul, william Bell achieved the highest possible level of performance on this record. Not to mention the typically brilliant performance of the Stax band. Records like this remind me of how great it is to be alive. My oh my how I wish I could find some more info on this band/ record. It's a complete mystery, apparently. 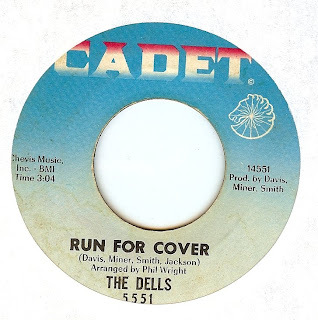 One things is for certain is that while so many sub-par garage 45's get attention, this overlooked gems is a real corker. 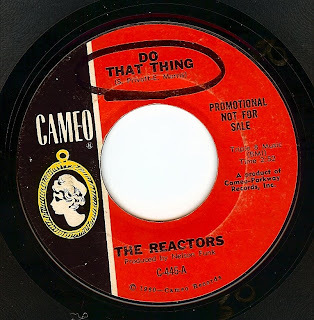 This New Jersey group perfectly nails the Motown/ Temptaions sound on this classic northern soul track. Way before "The Hustle", Van McCoy produced/ wrote some wonderful soul; this is one of my favorite examples. I don't know how it's possible, but Latin soul jazz superstar Mongo S. somehow took James Brown's ultra funky anthem and made it even funkier.